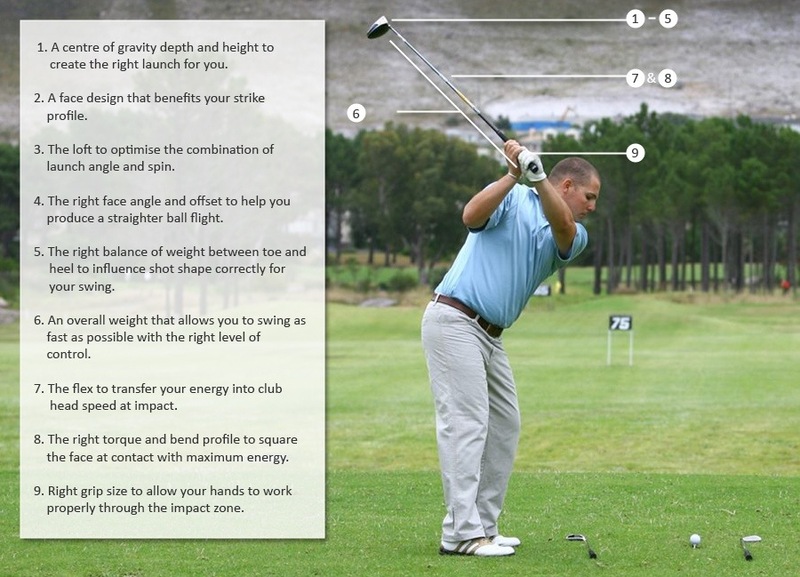 Nine reasons you need to fit your Driver! If you want to take your golf to the next level this year, let me get you playing the right Metalwoods. We have added 10, 20, 30, and even 40+ yards to many golfers’ Metalwood shots by setting them up to succeed. I urge you to take the first step to better golf and more enjoyment. GOLF BALLS: SOFT OR HARD… OR BOTH! Until not very long ago there were really only two options when it came to selecting a golf ball. For the hotshot amateur and Tour Professional, there was the softer ball that took spin well and offered precision and feel near the green, and which skilled players could shape effectively on longer shots. For your regular club golfer, there was a harder option. This was longer and straighter when struck with longer clubs, but lacked finesse on short shots. But things have changed. Recent years have seen a strong push by manufacturers to develop balls that are long off the tee as well as accommodating of spin from shorter Irons; packed with power as well as gentle; hard as well as soft. How? Two factors have been key. First is the use of the multi-layer structure. Between three and five layers now feature in Premium golf balls, each with a specialised role to play. By varying the thickness and flexibility of each layer, makers can tailor the way balls react to different types and speeds of swing. The flat thump of a Driver will penetrate to the high-energy core, which aids distance. The angular blow of a short Iron can then make the best of a softer cover and its added spin and, therefore, control. Of course, new materials are vital as well. Urethane has emerged as the material of choice for covers of Premium balls, providing excellent feel. That said, makers each offer their own varieties of these compounds, each with their own benefits. Buoyant rubber and various resins are popular for the inner core, being highly receptive to the kinetic energy of a heavy strike. The short of it is that there are tremendous benefits to be had from the right golf ball. The old divide between hard and soft; hotshot and hacker is gone. I advise you look into boosting your game with the right ball. Contact me and I’ll help you find it.